"Sandy toes and Salty kisses"
Have you dreamed of a saying “I Do” with your toes in the sand surrounded by family and friends? Maybe on the beach at sunset, or at a private location overlooking the Gulf of Mexico? Whether you are a Florida native or you want to get away for a destination wedding, I am happy to accommodate. 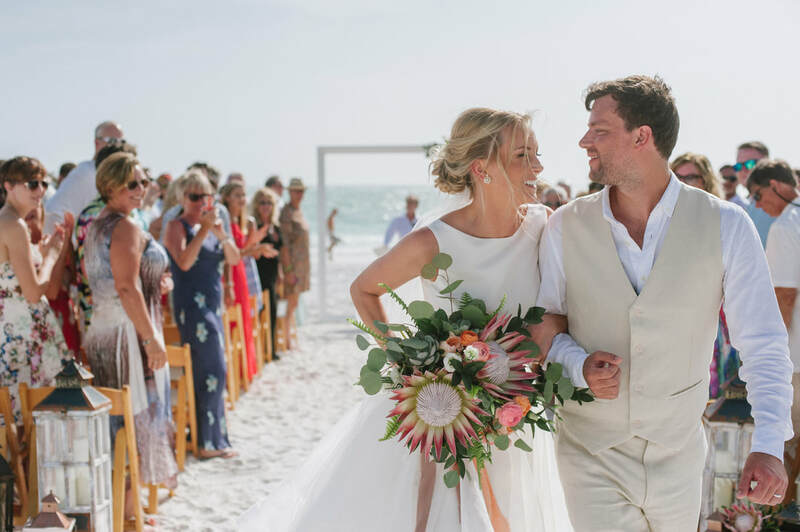 From a small beach wedding to a large surf side celebration, I can help you choose the best vendors to bring your vision to life while keeping you stress-free!